Eating well is always beneficial, but good nutrition is especially important as you age. What you put into your body not only impacts your physical health, but also your cognitive health. It also contributes to your overall wellbeing. Drink plenty of water. As you age, you lose our sense of thirst. Lack of proper fluids can result in dehydration and other health conditions. Limit beverages that contain added sugar, salt or caffeine. If you don’t like the taste of water, try adding fruit! As you age, your sense of taste and smell may change. Our favorite foods may not taste the same. Medications may also change the taste of food. Use herbs and spices – instead of salt – to add additional flavor. To prevent osteoporosis, increase your vitamin D and calcium intake. Choose foods that are fortified with these nutrients, or consider drinking 8 ounces of low-fat or fat-free dairy with each meal. If you feel you can’t get enough vitamin D and calcium through your diet, consider talking with your physician about supplements. Increase fiber from plant foods, such as beans, vegetables, fruits, nuts and whole grains. Increased fiber will help lower cholesterol, improve digestion and bowel movements and help you maintain a healthy weight. Fiber can also help decrease and stabilize blood glucose levels, which can reduce the risk of Type 2 diabetes. As you age, your need for protein increases. Eat protein-rich foods, including fish, eggs, nuts, meat and poultry. Eating whole grains has been linked to better brain health. Add whole grains, such as brown rice, oatmeal, whole grain bread and whole grain pasta, to your diet. Consider eating six small, regular meals instead of three larger meals. You will get the nutrients you need without eating too much at one time. Add foods high in omega-3 fatty acids, such as tuna, mackerel, salmon, flaxseed, canola oil and walnuts, to your diet at least twice a week. These foods help with inflammation, which can cause heart disease, arthritis and cancer. They also help with good brain health and can slow the progression of macular degeneration. As you age, you are less active and may need fewer calories. However, you still need the same amount or more of important nutrients. Choose foods that are nutrient rich, such as fruits, vegetables, lentils, beans, nuts, seeds and lean protein. Make eating a social event! Don’t view cooking and eating as a chore. If it becomes fun, you’ll eat more! 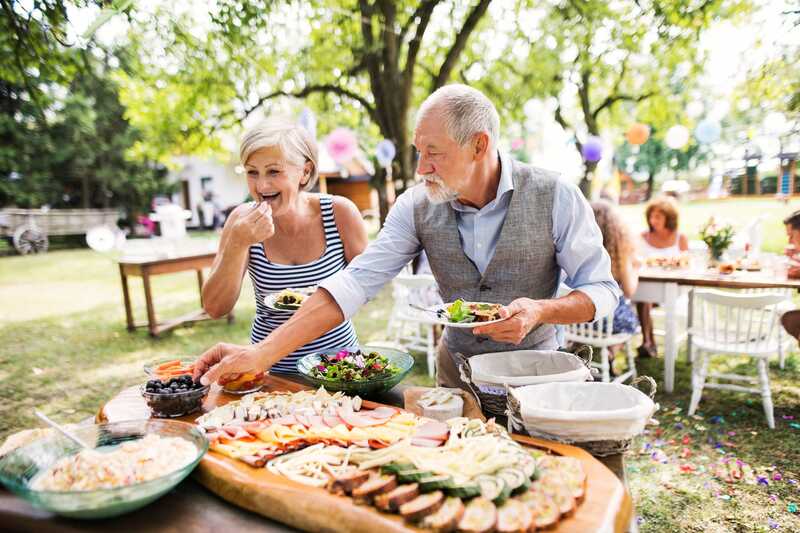 Consider checking with your local senior center to see if senior dining options are offered. These helpful tips are from One MacDonough Place, an assisted living community owned by Middlesex Health. It is located in Middletown. For more information about One MacDonough Place, visit onemacdonoughplace.org or call 860-358-5802. Scammers frequently target older adults. How can you protect yourself, or a loved one? Learn how you can optimize your brain health and keep your mind sharp.